Hello beautiful autumn! How I've missed you; a year is far too long! 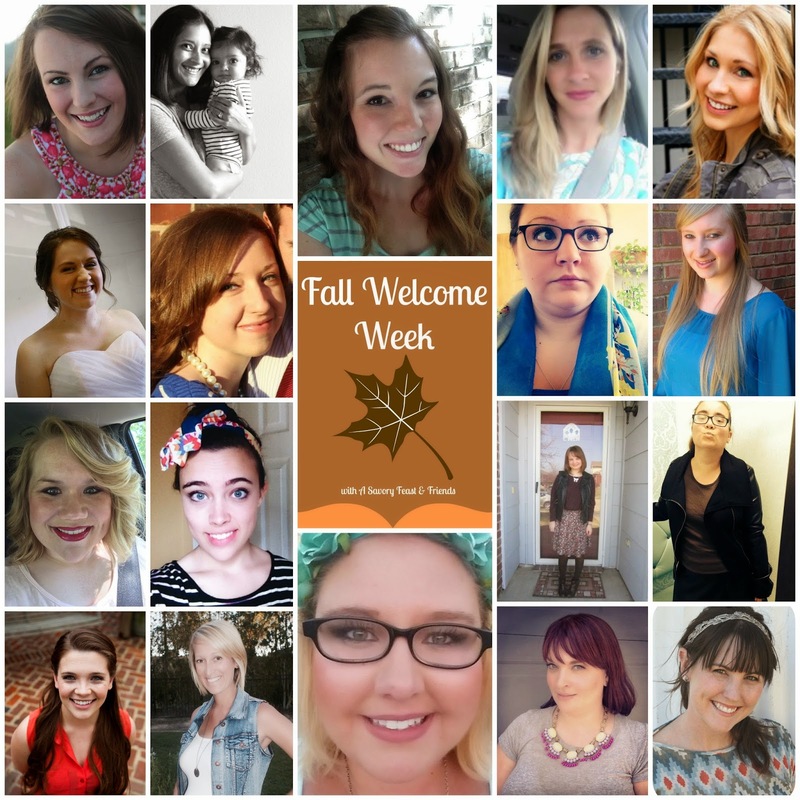 This week I am teaming up with A Savory Feast and some awesome ladies to welcome fall to the blogging world (although it's been here since the last days of August. Thanks, Pumpkin Spice Lattes). 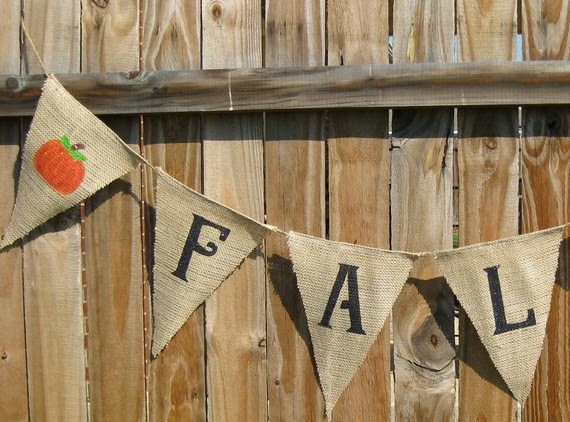 Today I want to share a fun little tutorial on how to make an autumnal banner! It is perfect for any room in your home and adds the perfect fall touch to your decorations. Take your primary fabric(s) that you want the base to be made from and cut them into 4 inch triangles. If you want them to spell something then you can cut out letters from extra fabric and use the glue to secure them on the triangles (or just paint the letters on). Next, after the glue/paint has dried, you can use the glue gun to glue the triangles to the string. Make sure that you have about 5+ inches of string on each end so that you can tie the banner up. I've included a few different examples that I found online that you may want to model your bunting off of! Which banner is your favorite? I love this idea! The burlap banner is my favorite, it's so cute. I actually just bought some burlap for a prop for my food photography and got a little extra. Maybe I can make something like this. Thanks for being a part of our Fall Welcome Week! It's going to be a blast. 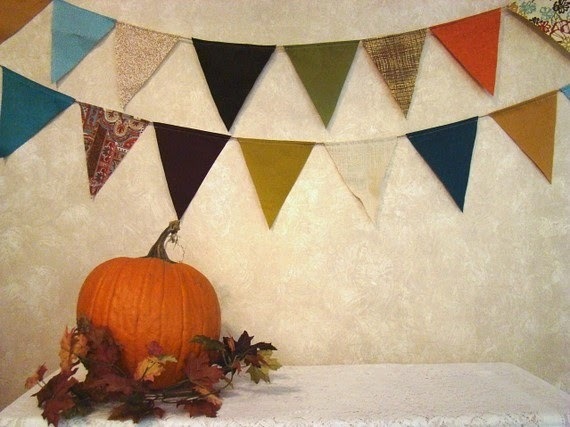 I absolutely love burlap but that colored banner is adorable!! I love the banner! :) I'm so glad I found your blog through the link up. If you want, you should come check mine out and follow along!